☕ Good Thursday morning. 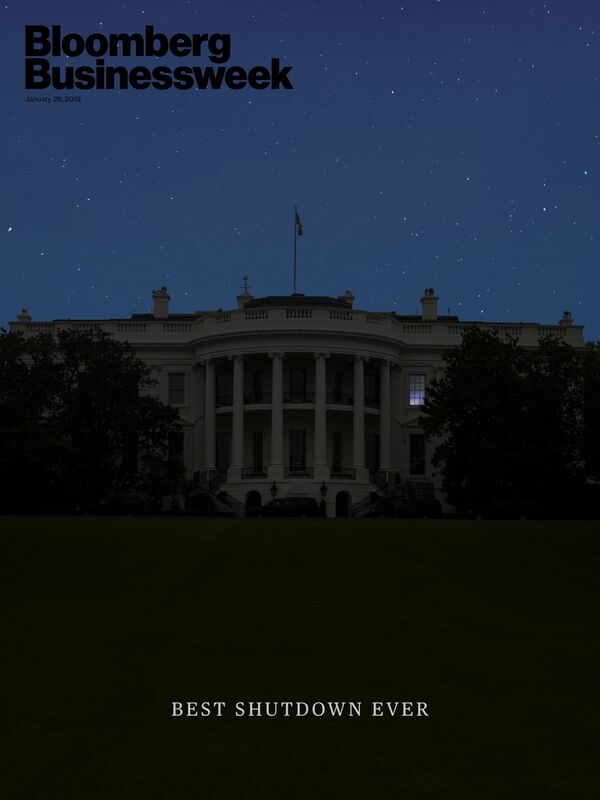 It's Day 34 of the government shutdown. The storylines dominating climate change news are usually doom and gloom, but corporate America sees some new ways to integrate a warmer world into its business models, Axios' Amy Harder writes. That conclusion was gleaned from disclosures from more than 7,000 companies worldwide (1,800 in the U.S.) that were collected by CDP, a London-based nonprofit that asks companies to report their environmental impact. "[M]ore people will get sick. 'As the climate changes, there will be expanded markets for products for tropical and weather related diseases including waterborne illness,' wrote Merck & Co."
"More disasters will make iPhones even more vital to people’s lives, Apple predicted." AbbVie: "Climate change may create a greater need for existing or even new products … higher temperatures and drought conditions are becoming extreme … Our immunology product line could see an increase in sales as a result." Eli Lilly: "These risks may drive an increased demand for ... our diabetes products." Pfizer: "There could be an increased demand for products related to diseases impacted by climate change." These financial benefits are, of course, anomalies — most impact will be dire. Axios' Ben Geman points out that companies like Coca-Cola, which worries about water shortages, have long realized the risks to their operations. What Amy is watching ... The companies' reports show expected climate-change expenses that could become so big and detrimental that they provoke a real sea change in corporate America: More companies turning to governments, and lobbying for policies reducing greenhouse gas emissions. 2. "I prefer to knife people from the front"
Sims writes about a day in May 2017, when "Morning Joe" accused White House counselor Kellyanne Conway of being disloyal to President Trump. Update ... Vanity Fair reported that Conway's statement was drafted in consultation with her husband, George Conway. But he tweeted: "I never saw this statement, let alone helped draft it." "This is her prerogative - I will do the Address when the Shutdown is over." "I am not looking for an.... alternative venue for the SOTU Address because there is no venue that can compete with the history, tradition and importance of the House Chamber." "I look forward to giving a 'great' State of the Union Address in the near future!" 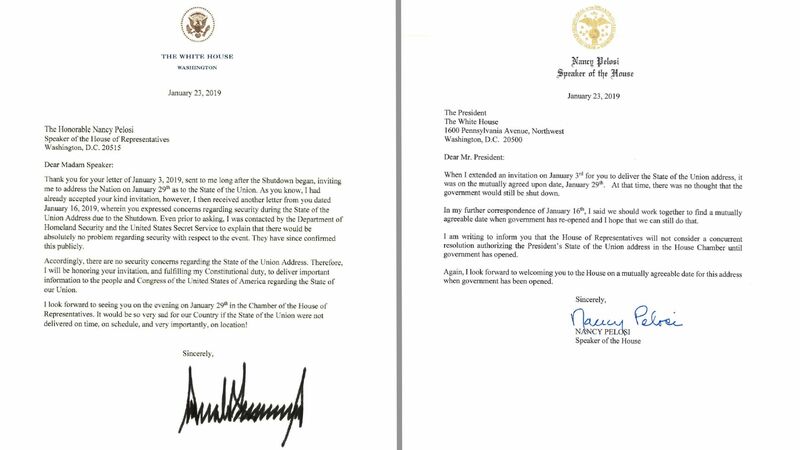 🖊️ Trump had said in a letter to Pelosi earlier in the day: "It would be so very sad for our Country if the State of the Union were not delivered on time, on schedule, and very importantly, on location!" Pelosi replied: "I am writing to inform you that the House of Representatives will not consider a concurrent resolution authorizing the President's State of the Union address in the House Chamber until government has opened." 4. Air unions: Safety risk "unprecedented"
Three aviation unions — the National Air Traffic Controllers Association, the Air Line Pilots Association and the Association of Flight Attendants-CWA — warned that "the entire system" could "break" because of the shutdown, writes Axios' Zach Basu. White House Council of Economic Advisers Chairman Kevin Hassett said, when asked by CNN's Poppy Harlow if the U.S. could wind up with zero GDP growth this quarter: "We could, yes." 🚨 AP-NORC poll: 6 in 10 Americans blame Trump for shutdown ... 34% job approval, down from 42% a month earlier. The media industry's current round of cuts and consolidation is accelerating. Sizable layoffs at BuzzFeed, Gannett and Verizon Media were announced Wednesday, totaling over 1,000 jobs cut, writes Axios' Sara Fischer. BuzzFeed will cut roughly 250 jobs, or roughly 15% of its workforce, including jobs within its news division. Gannett cut over 20 jobs Wednesday, per Poynter, with more expected as the company tries to shed costs amid buyout talks. Verizon Media will cut roughly 800 jobs, or 7% of its global workforce across the organization, as well as certain brands and products. Why it matters: If the headlines signal anything, it's that the news media will continue to struggle to find a sustainable business model in an advertising and attention ecosystem dominated by tech companies like Google, Facebook and Netflix. The Business Roundtable, made up of CEOs of the nation's top companies, warns in a national innovation agenda out later today that the U.S. focus on R&D is lagging, and other countries are gaining ground. "China has its 'Made in China 2025' plan, and earlier this month, became the first country to land a probe on the far side of the moon," says the report, "Innovation Nation: An American Innovation Agenda for 2020." "Meanwhile, dysfunction in Washington abounds — from shutdowns to the inability to work together to solve America’s big challenges." The report says the U.S. government "has grown complacent — resting on legacy achievements while underinvesting in the drivers and enablers needed to build on these achievements in the future." "Tight budgets, policy challenges and competing priorities have caused political leaders to avoid or postpone critical investments in human capital and R&D." 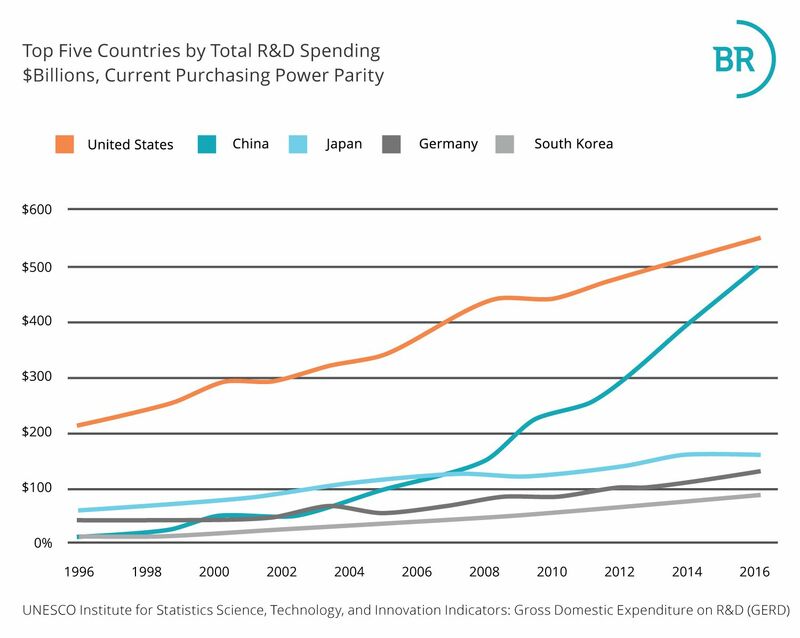 The bottom line: "The United States cannot remain a global leader in innovation unless its policy and regulatory infrastructure is responsive." "Of the more than half dozen Democrats who have either moved toward a campaign or declared their candidacy, four are women: Sens. Kirsten Gillibrand of New York, Kamala Harris of California and Elizabeth Warren of Massachusetts and Rep. Tulsi Gabbard of Hawaii." 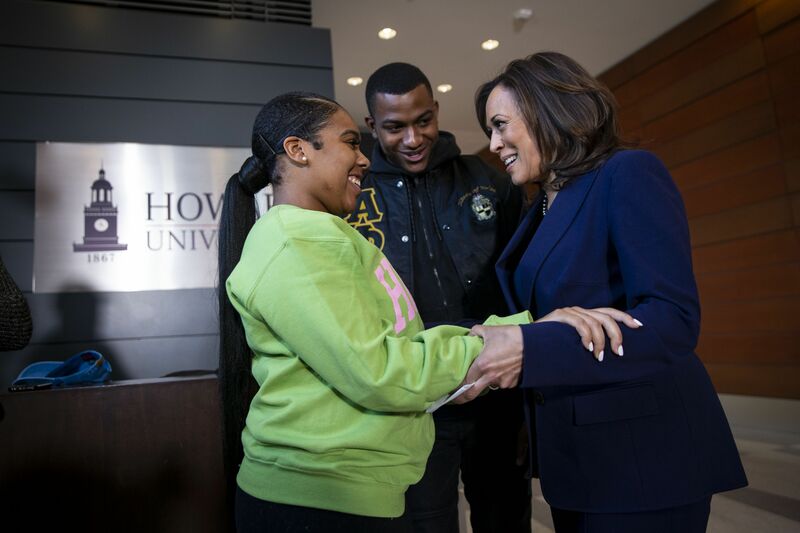 "Harris is also African-American. Former Obama Cabinet member Julian Castro, who is Latino, has also joined the race." Pete Buttigieg, 37 — the mayor of South Bend, Ind., who jumped in yesterday — would be the first openly gay presidential nominee of a major party. If he won, he'd be the youngest president. 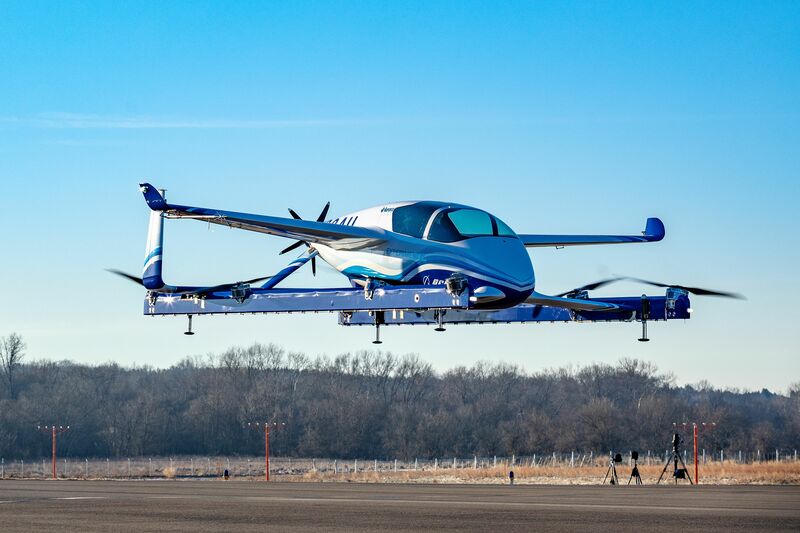 Imagine a helicopter and a small prop plane had a baby: That's what Boeing's autonomous "passenger air vehicle" looks like, Axios AI reporter Kaveh Waddell writes. A protoype flew for the first time Tuesday in Manassas, Va. It's electric and can fly on its own for 50 miles, with vertical takeoff and landing, Boeing says. Several companies, including Uber, are working on autonomous flying for short in-city hops. The Ebola outbreak simmering in the Democratic Republic of the Congo (DRC) is worsening in some ways, despite major successes in combating the illness in some parts of the country, writes Axios science editor Andrew Freedman. "The son of James Gandolfini has been cast as the young Tony Soprano in the planned 'Sopranos' prequel, 'The Many Saints of Newark,'" per the AP. "Michael Gandolfini will play a younger version of the iconic character his late father played on the HBO series." The 19-year-old "said in a statement it’s 'a profound honor to continue my dad’s legacy.' James Gandolfini died of a heart attack at the age of 51 in 2013."